Oh yes.. Dhoni is a sport!! He dabbles in all kinds!! Most of yesterday evening was spent avoiding the visual of a live video recording flashed across several news Channels of an apparently unmoved, placid Dhoni, partaking in a ritual accompanied by a timid goat, all dressed for the kill with ’tilak ‘ on forehead a garland around its neck et al. ( see snap) Makes one shudder to think that this is the mental make up of our erstwhile captain of the Indian cricket team. One would have imagined that he had the class and polish to restrict his ‘killer instinct ‘ to the cricket field, fending off opposing bowlers or demolishing a competitive score. But, it was a revelation, albeit devastatingly disturbing, to witness just how steeped in mediocrity or for that matter, crassy was his mindset to indulge apathetically in inane ritualistic acts anachronistic in practise, if not outright and unmistakably barbaric. It requires a carnivorous trait crossing the boundaries of a non vegetarian diet, to be unaffected by the killing and in fact be responsible for the murder of an innocent goat. It reeks of neanderthal remnant cerebrally, and an annoying self centric approach that reflects poorly on his progress as a man on an evolutionary path. What is unnerving and in fact scary is the abomination now being a national viewers delight and somehow his patronage , condoning the act. Imagine every cricketer/sportsman/ or an Indian resorting to an animal sacrifice for personal victory. For once I hope and pray that he loses every battle or game henceforth if only to prove that No good can ever emerge out of a wrong inflicted..
Just what was he thinking?! Those Pandits sure made a ‘bakra’ of him..one doesnt rue that except that it was at the cost of a stomach churning killing of an innocent goat they must have all made a gastronomical feast of later…tsk tsk. Just how poorly equipped we are as a nation to deal with competition and adversities comes to the fore by this episode. Two aspects scream for attention. First we wrongly assume success to be a determinant factor in evaluating refinement of mind. Material success is only that..material success. Second, those of us who live in metropolises ought to thank our stars for being ‘City Born’. You can take Dhoni out of Ranchi but cannot take Ranchi out of him..Sure.. if it means that those from small towns are so archaic, refusing to step beyond ancient customs and explore the realm of mind and spirituality as pleaded by those like Swami Vivekananda. It was for this purpose that Lord Buddha and later other philosopher/thinkers cast strong aspersions on the Brahmins, priests and Swamis posing as enlightened beings. As Swami Vivekananda once said ‘ You can be born in a church but why die in one’? One wonders now jut how many actually grasped the inference in the context mentioned. He advised going beyond peripherals , or idol worship . Power of the mind was his most celebrated essay and is so inspiring . If only I could send across a booklet to Dhoni. But on second thoughts, where brawn is stronger than brain, this would perhaps be a ‘bouncer’ for him. One bouncer he would definitely be defeated by. Hyuk hyuk..sachmuch dho dala.. I saw it also ..it was disgusting..I told my mom..no more swooning over his hair…n i loved the snap you chose..he is a dog to do that to the goat..honestly.So old fashioned. Several politicians etc were also present. This will and should go in for a national debate.We are the laughing stock of the world!! Neha ..yeah was lucky to get that snap . Fitted into the mood of things so to speak.Hair and all is okay but hare brained ?? Dilip..yes that bit of information troubled as well. It is the rampancy of the act and the almost apathetic perspective over the issue, it shocks you..especially in this day and age. Very upset about this. PETA should intervene rather tha doing all this brazen modelling about cruelty to animals. What is SChopra, JAbraham and others doing. Now he may do more sacrifices for being highest paid in IPL. Paar goat ko math maar. I do not know what happens to Indians when they achieve things. Please see this html link. In this HTML link, there is download attachment , which is in power point. Please save it for your archives and see it everyweek , so that you remind yourself , why rich Indians , should emulate this man. See Wareen Buffet the World’s richest man life style. Very simple , but effective. No show Baazi 31 billion dollars in Charity, which could run the entire Jharkand. Rich Indians should learn from Warren Buffet. Indian film stars, industrialists ( Mukesh Ambani gave a glitzy plane to his wife. Was it neccessary? I would have given it Ramakrishna Mission charity hospital as a trust) , cricket players , who are rich , should take a leaf from Warren Buffet. India will be better place and clean place. Dhoni’s spiritual quest is a personal affair, which can be appreciated , but bakri ko bakra banana for his success , is very heinous practice and all the saints like Adi Sankara, Madhavacharyya , Chaitanya Mahaprabhu and the Bhakti saints from all spectrum of society, even tribal saints have decried this practice. Bhai jo tune ye link diya h ye teri id se hi chalega. Couldnt agree more. This was a shameful incident.he deserves a dho dala of a more sever kind. imbecile ! Gajanan Ji…so sorry for the delay in response . i was caught with just this that and the other. I couldnt open your html link..it showed an error message.however your anger is palpable and in consonance with mine totally. Lan-goatiya sambhaal jaata par goat ko mat maar..was hillarious. Nitn, Kish, Bhimani..glad you guys arent with him..no sane person would be. Bhimani..bachcha kahaan hai? If we could entrust him with Indias pride in sports he ought to behave responsibly on every count. 1) He bought his first share at age 11 and he now regrets that he started too late! 2) He bought a small farm at age 14 with savings from delivering newspapers. 3) He still lives in the same small 3 bedroom house in mid-town Omaha , that he bought after he got married 50 years ago. He says that he has everything he needs in that house. His house does not have a wall or a fence. 4) He drives his own car everywhere and does not have a driver or security people around him. 5) He never travels by private jet, although he owns the world’s largest private jet company. 6) His company, Berkshire Hathaway, owns 63 companies. He writes only one letter each year to the CEOs of these companies, giving them goals for the year. He never holds meetings or calls them on a regular basis. 7) He has given his CEO’s only two rules. Rule number 1: do not lose any of your share holder’s money. Rule number 2: Do not forget rule number 1. 8) He does not socialize with the high society crowd. His past time after he gets home is to make himself some pop corn and watch television. 9) Bill Gates, the world’s richest man met him for the first time only 5 years ago. Bill Gates did not think he had anything in common with Warren Buffet. So he had scheduled his meeting only for half hour. But when Gates met him, the meeting lasted for ten hours and Bill Gates became a devotee of Warren Buffet. 10) Warren Buffet does not carry a cell phone, nor has a computer on his desk. 11) His advice to young people: Stay away from credit cards and invest in yourself. This one is for Dhoni who has made Dhun , but his new Dhoon ( tune)…..
2)It takes 20 years to build a reputation and five minutes to ruin it. If you think about that, you’ll do things differently. 3)The business schools reward difficult complex behavior more than simple behavior, but simple behavior is more effective. he has give maximum charity to Melinda Gates foundation, which is being done in India also. I can’t believe that a cricketer of the 21st century will involve such an act. At a time when animal sacrifice for such reasons is condemned everywhere, I am shocked to know that our cricket captain, being a responsible person, has been a party to this superstitious ritual. This “perfomance enhancement ritual” is definitly a blackmark in Dhoni’s career. If animal sacrifice can enhance your perfomance, I think all our crickets should henceforth slaughter a goat each before a match instead of any net practice!!! I am sure Dhoni would have lost many friends due this incident. The BCCI which pokes its nose into many affairs these days, perhaps should take this also seriously. quite a B&G u have stitched here… personally have always felt that this guy needs a lotta polish… there is something called a ‘captainz luck’ n MSD seems to have loads of it, to strive over the knife edge moments to walk away with the airs… clinically speaking, there is nothing that twinkles over him, neither is there a gyani halo arnd.. but then, lady luck was never quite so logical in dolling out favors! sacrifice or slaughter… its sad.. but from a birdz eye view, its just so usual in india.. have seen n felt revolted seeing these ‘balis’ in various temples across the country… assam, WB, orissa, AP… the atheist in me laughed, scorned but the sight of the whole affair, wish i cud have explain. these demi/dumb gawds we have made outta people are just so much like a paper boat caught in the down stream ripples… the showmanship n the outlandish shows.. nothing more! guts n glory died a long time ago ‘n all we see is lime-lite hungry souls riding sporadic events to lala land!! i guess, its a lesson, its a reflection on to us… we who have really blown air into the wrong tube… i don blame him, coz as u said.. “u can take dhoni outta J’khand.. but not J’khand outta dhoni..’ spot on! this guy sports fashion labels, eyeshades, electronic gizmos n sells from engine oil to 2-wheelers to detergent mite be… n all he can think of to appease n lubricate his lucky stint… chop off a goat!! in the movie ‘blood diamond’ therez this one-liner… ‘god left this country a long time ago…’ n why not?? He found that some looked liked goats, and some… were goats!! He could only cry over His creations… ironic isnt it?? why take a dig at rural folks,how abt millions of goats massacred on streets of hyd,delhi,mumbai on eid? I am a palaeontologist. Humans evolved to be the omnivores we are today. Adding meat to our vegetarian diet was important in the development of sophisticated brains, which help in thinking, analysing and problem solving. You people do not seem to have acquired these. You must have evolved separately from a vegetable or you have one where your brain should be. As for PETA (People Eating Tomato Atchar) they should stop the double standards. Kudos to Dhoni for practising his culture. He is proud of it, and he should be. I was born Christian, but am proud of my Hindu Ancestry. Shame to all the people who wrote-off him and his young brigade. They will go on to do great things without your support. To Dravid & Ganguly, please don’t bring your tired, aging & mummifying bodies to T20 & ODI’s. We need youngsters. Stick to test cricket where you can field off block shots or slip. Yes, you have done great things, but your shelf life is long expired! Indian cricket like our economy, strives to be dynamic, you will only slow us down! har har har..that was the most amusing comment i have read in a long time. I am an ornithologist..you know study birds and all that!! Is it a possibility that you and your kinds have been also feeding on birds? No wonder bird brained!!!!!!!!!!!!!!!! Birds are more advanced than vegetables. They can distinguish between edible and non-edible objects. I can’t say the same for veggies. What about Humans? Can we in your esteemed opinion judge between sacrificing a vegetable and an animal? #Gajanan ji cant thank you enough for that wonderful comment.What a guy Warren Buffet.But you know makes me wonder were things destined for him that on hindsight whatever he did would turn out right or did he do it right?? Confusing. having said that i think its phenomenal..especially the last quote about simple behaviour… I wish all the manipulators of the world or those who think they are getting anywhere by being smart read this..Tremendous. # Sapt..thanks and missed you. Ok so we agree..now thats a surprise. ‘God left the country” while I loved the wisecrack I believe that it is only his Grace that india continues to survive and kinda flourish. Our rishis and seers I believe even to this minute meditate in the Himalays for our benefit..astounding na? and all we can do is kill goats for personal gratification.. Selflesness is one thing but lack of self is another..thats what saintlihood is about.. We all have a long way to go but lets at least take a step.. My two bits.. denounce a wrong.. and try and do right. #dhonihater..lets not even get there..its pointless…opening up a can of worms. To wildnsexyguy: Animals were domesticated for a reason. In fact humans themselves are animals. We are a part of the natural cycle of life. Carnivores and omnivores (humans) kill other animals for food. Humans (which for your information are mammals) have taken this a step further. We are probably the only animals who have developed a concept for a higher being, God. Animal sacrifice for religion is nothing new. In the bible Abraham almost sacrificed Isaac (his son) until God showed him a ram stuck in a bush that he could sacrifice instead. The majority of religions or cultures worldwide have had animal sacrifice as one of there customs. How many animals do you think get slaughtered every Christmas, Jewish New Year and both Eids? The number is collosal. Have you ever heard of thanks-giving? One of the most cellebrated holiday’s for 250 million ignorant Americans. Did you ever think about the millions of turkeys that were slaughtered there before you started barking about one lousy goat. I must admit that it was the first time i heard of an animal sacrifice by a Hindu. Have you ever heard of the Chinese? These people eat anything that moves. Humans have some insatiable needs. The need to feed and to appease amongst others. Call us savages, but its in our blood. You can take a person out of nature, but you can never take the nature out of him. Nature my dear ornithologist can be savage! My advice to you, PETA and all other bloggers like you is to return to earth. You are either not from this planet or your heads are in the clouds. Look and listen around you and tell me what you see and hear. This is just the way things are and will always remain! This is the real world! SAbraham, your emotional outburst and writing deserves quotes from GBShaw , one of the finest social thinkers. Shaw along with Fabian introduced a balanced approach to socialism in the West, which heralded secularism, social welfare and health care ( Shaw’s great book ” The Doctor’s dilemma” took the medical establishemnt to task. Till that time, the doctor was thought to be next to God. Shaw shook the medical establishment. Then he wrote, the legendary ” Pygmalion which was later ” My Fair lady” This book was a great social comment on class in British society. He took the middle path against Atheists and the die hard believers and said that the middle path ( Do not mix it with Buddha; middle path) was the right one, meaning respecting faithfuls, agnostics and the atheists. Then some more are there, please read. I know you will shoot out again from the hip, please shoot your words again. No problems. You shall be forgiven, because thou art an ignorant soul. Slaughtered to satisfy our appetites. If animals like men could possibly have rights. To guide our footsteps on the paths we tread. And we gorge ourselves upon the dead. Thus cruelty begets the offspring — WAR ! Reply to Gajanan: Sir, you misunderstand me. What i was trying to point out was that this Universe we live in is chaotic, full of Entropy. Have you never heard of supernovae and black holes? We don’t live in Utopia. My apologies if i offended anyone. Back to the main topic of this discussion. Our cricket captain sacrifices a goat and the whole world goes bananas. People start taking sides, like you and me. Why is that? It’s simple. We view the world differently with varying philosophies. You want the world to be perfect and i know that it isn’t. You dream of a perfect world, i prefer a reality check. Don’t get me wrong, I am all for the conservation of nature. Some of my favourite topics are invasion biology and animal response to climate change. Both my research projects were based on these. Domestic animals on the other hand are there to be utilized. Everyone knows that if they are not used, they will become feral. Domestic animals have become some of the most notorious alien species, especially on remote islands, where they decimate the native ecosystem. I started out in Zoology, branched into entomology and finally ended in Palaeontology. Therefore I am well versed in all general aspects of natural sciences. You have quoted several people’s thoughts. What of your own? At the end of the day that should count more to you than anybody else’s, especially some B. Shaw. The Buddha once said: “be your own light”. He by the way, like most early Indians were meat eaters. The last meal he had before he died was pork. In fact there is not a single human blood line that can claim to have been fully vegetarian, including Brahmins. We are or have at some stage bloodied our hands to satisfy our need for flesh. We must not hate ourselves for the man-beasts that we are. This is the way mother nature has moulded us like any of her other offspring. It must be embraced. Humans with our technology are basically at the top of the food chain. With this power comes responsibility. I certainly advocate the utilization of natural resources in a sustainable manner thus ensuring that the balance is maintained. In my opinion humans are a keystone species. Our actions can very much determine ecosystem health. However, I can’t see why conservationists should rally against goat slaughter. We made goats what they are. Same applies to other domestics. We unwittingly modified natural components. So this is not a discussion on the infringement of conservation practices. It must be the ethics behind this incident that has offended you. If we don’t utilize domestics, what else do we do with them? Let them multiply (they surely will) and watch as they unleash hell on natural ecosystems (this is inevitable). They will surely run riot like millions of feral cats, dogs, pigs, mice, rats, rabbits etc. Allowing that to happen would be unethical. Would the use of contraceptives be ethical in controlling domestic populations? Would this not be a violation of their right to reproduce? Who are we to impose this on them? See what happens when you try to bring order, it only results in more disorder. ENTROPY. Doing one right will create ten wrongs. Its a loose-loose situation. You iron one side of a shirt. When you iron the second side, you end up crinkling the first. Looking forward to hearing from you! Maybe something good will come out of this. Why kill a goat for sacrifice. Just kneel down and thank God for helping him (Dhoni) to be successful in Oz. In fact, I feel in the material world, this is the best and decent way of thanking God. Or more still he should have sponsored one poor boy’s school education in Chattisgarh. Killing a goat for his sixers and excellent captainship , will make the super captain also unhappy. The Supercaptain (God) must be also confused as to what the poor goat has got to do with cricket. Well, as they say , God only knows. The Buddha once said: “be your own light”. He by the way, like most early Indians were meat eaters. The last meal he had before he died was pork. This was in ancient India. Now Darwin’s theory (12 February 1809 – 19 April 1882) came many centuries after Buddha. Evolution took that conceit out of us; and now, though we may kill a flea without the smallest remorse, we at all events know that we are killing our cousin” extract from GB Shaw. Buddha’s pholosophy was simple. Seeing is believing , compassion and lead a simple life. He opposed Vedic thought , so the Sattvic nature prescribed in Vedic thought , which required strict control of food , must have been thrown overboard and he must have eaten pork. Well, this is my conjecture. Now the theory of evolution shook all and wrote a new chapter in our thinking. Evolution may not be hundred percent right , but it shook many a bastions of faith and prejudice. Then came Quantum Mechanics ( 1921-39). Many opposed , including Einstein initially. Wave existing as a particle or the dual nature of an entity, electron to be more precise. Schrodinger’s theory , the wave equation heralded a new thought. He wrote a book ” What is Life” where he has eulogised Vedanta. I write not in opposition to the nobility of the Buddha , but to his inability to comprehend evolution with Darwinian rigor ( probably Darwin wrote with great rigor as he had founding fathers like Galileo and many others, whereas with Buddha , he was doing it all alone and he had no precedents like Galileo etc) and come to terms with Maya , as the quantum physicists have so well shown, spending sleepless nights at Gottingen. May be the String theory , which is elegant in Maths, but still to be proved experimentally ( it has huge amount of complex variables) may startle civilization that an entity can exist in several places at a single point of time. There are many critics to this. The point is that, it was only the recent advances in science that has made many think about eating habits and even genetically modifying animals for food. The Mad Cow disease is an outstanding example. Entropy of the Universe will always increase. Even peeling a banana will increase entropy. It is Mind-tropy which ultimately is important. If your Mind-tropy is strong enough, you will surely win a lot of trophies. About the increase in feline , canine and bovine population, this is a duty of muncipalities and govt. Our ultipalities and sarkar function with such zombieness that feline felicitation, carrots for cannines and bull bulling the bovine seems to their mantra of management. We just do not have any policy for this. When humans are left on the road in many urban areas, who cares for the animals. but this does not give licence to cruel killing , because sarkars and ultipality do not care. I will not blame Indians as such , but as soon a person goes to work in a Sarkari organization, he looses all his zeal , he talks a lot , writes epic documents like the one I have written now ( self critical) of absolutely no use. So long as we do not improve governance in India, there will be no organisation and when there is no organisation, thermodynamics dictates , that there will be chaos. Reply to Gajanan: The problem of domestic animals is not limited to India but is a global problem. But as you have already mentioned Indian governance is in shambles. I am an NRI living in South Africa and was brought up in the former Transkei region, where Nelson Mandela comes from. Things are not very rosy here either. Domestic animals were and still are a problem here. This is both an ecological and road safety issue. Vehicles regularly collide with horses and sheep (these are sometimes not sheltered and are let loose) mostly at night. In Africa, the number of livestock he has measures a man’s wealth. In Transkei and for that matter South Africa, it is with cattle. So lots of people own numerous cattle, especially the chiefs. Since man began keeping these animals, they have certainly transformed landscapes in a drastic manner. Where there was Savannah, now you have open grassland. The former Transkei region is plagued by overgrazing herds of domestics. The product of which is erosion, resulting in the loss of arable land. This happens when the rains wash away the topsoil because the plants holding the soil together with their roots have been completely eaten away. Living sustainably and responsibly can’t be all that difficult. But just try telling that to the masses! Most of us live by the “frontier ethic”. This ethic gives us the belief that we have the right to take whatever, whenever and how much of Mother Nature’s bounty. We believe that she will always provide, as she has an inexhaustible supply. Gaze at the world’s dwindling fish stocks amongst other biotic resources and you realize that this is fiction. The unanswered question however remains. How do we balance doing right by our customs and practising ethics that are acceptable to all? We must accept the fact that we all have different customs and that it is good to be diverse. Unity through diversity is what makes India so special. However, complying on ethical grounds has been the stumbling block. We had the caste system and even today there is discrimination. Religions have also had their differences especially regarding sacred places like Ayodya. Some Hindus revere cows and are offended by others like Muslims and Christians who to them seem insistent on eating beef. So the solution must lie somewhere in the fact that we as a country have lasted for more than 60 yrs! The only thing that could have forged all the various communities into an emerging superpower must be TOLERANCE. This has to be the solution. Yes, tolerance, wisdom ( a very hard attribute to acquire) is the solution. Well, what’s wrong with Dhoni having a life outside of cricket? He is not a politician. Just a fantastic sportsman, who does well on the field. So, he watches a goat being killed. Big deal. People eat meat, don’t they? And don’t we often whine if our cricketers don’t have the “killer instinct”. Well, here it is. On plain display. 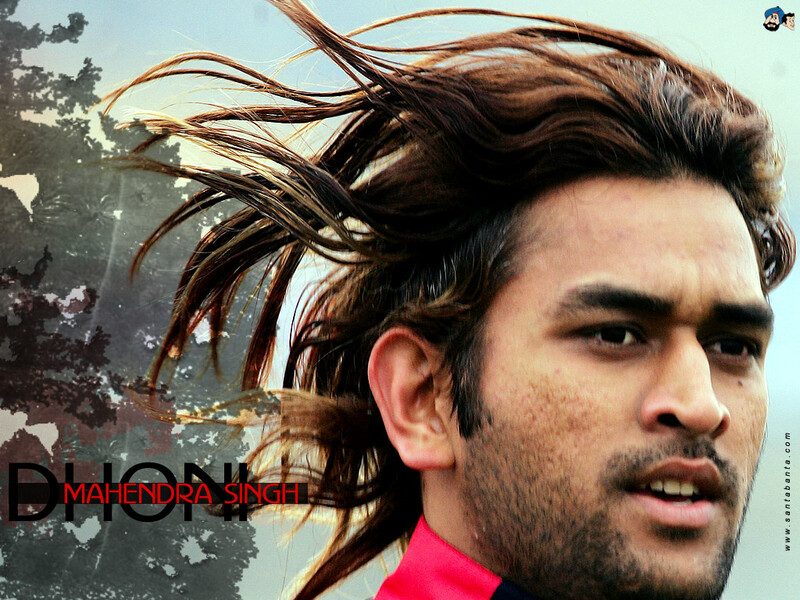 I love this guy Dhoni. No time for rubbish. He does what he does. He is fantastic. Let him be who he is. why such hue and cry over animal sacrifice when not a single voice is raised when everyday millions of innocent and meek animals are butchered for satiating carnivorous humans?i am sure,many of the people condemning dhoni(may be author too) are non-vegetarians and hence responsible for killing of thousands of animals in their lives.you should know that dhoni doesn’t like eating meat and prefers a veg diet. animal sacrifice is an ancient ritual,if you don’t believe in it,that is fine but you have no right to condemn somebody for following his faith.first condemn moslems, who butcher millions of goats,camels and cows every year on id-ul-zuha. have you evey condemned mohd.azharuddin for celebrating id-ul-zuha? swami vivekananda himself wanted that a goat should be sacrificed during durga pooja at belur math but holy mother sharada didn’t allow it. don’t ridicule brahmins without knowing the facts.ritual of animal sacrifice is prevalent in lower caste people and tribals while 99.99% of the brahmins abhor this practice and that is why you see most of the brahmins as vegetarians. (Well thats not my real name) but hay hoe.I used to love msd after he did this I hate tht pooy person,hes an overrated cricketer.I love animals and hate msd.!!! THOSE PEOPLE ARE SICK WHO THINK ANIMAL SACRIFICE IS A COOL OR ALLOWED OR IS AN ANCIENT RITUAL.